All of our teachers are passionate about music and the development of children and are experienced infant, toddler and preshcool educators. Jeanne Russell is the director and teacher. She started with 10 families in 1998 and now has 3 locations and over 270 families! Jeanne is an experienced preschool educator and composer of many children's songs. She has studied guitar and African and Middle Eastern drumming. She sings in a 200 woman chorus called Voices From the Heart and you can find her playing drums in a variety of local venues. 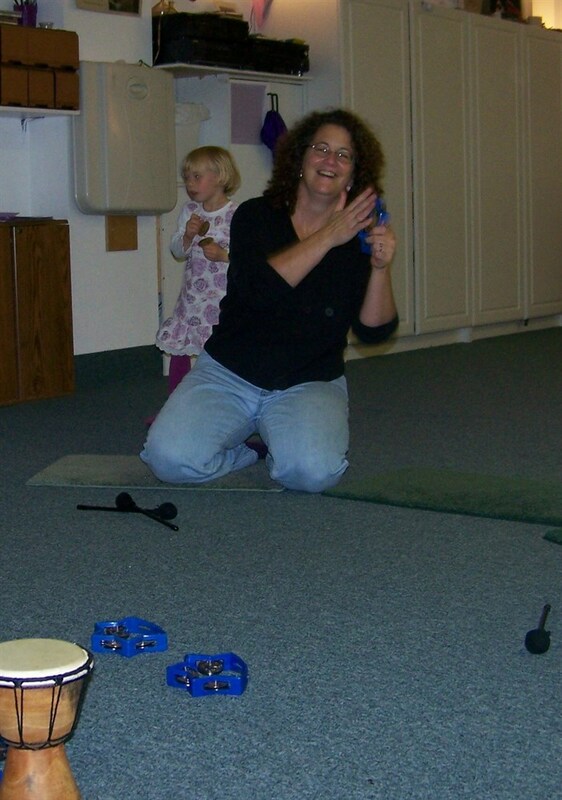 She also presents music and movement workshops to early childhood educators throughout New England and teaches music and therapeutic drumming to people with developmental disabilities. She brings her love of children and rhythm to her classes. Get ready to rock! Sharon Morton has been working with children in various settings for many years. She has experience as a preschool teacher and family day care provider. She began playing the clarinet at age 10 and has recently joined a clarinet quartet. She sings in a 200 woman chorus called Voices from the Heart, and if you attend a concert, you may hear her singing a solo! She sings around the house with her three children, two of which are Music Together graduates. She joined our Music Together family in 1999. 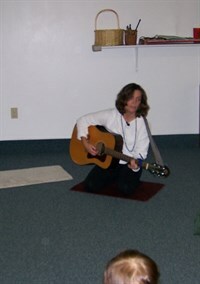 Sharon brings her lively spirit and genuine love for music and children to her popular classes. Sally started singing in the back seat of her family car and has been singing ever since. She sang in the chorus throughout school and after her son Josh went to school, she used her M.Ed in Early Childhood teaching in the Brookline, MA school system. 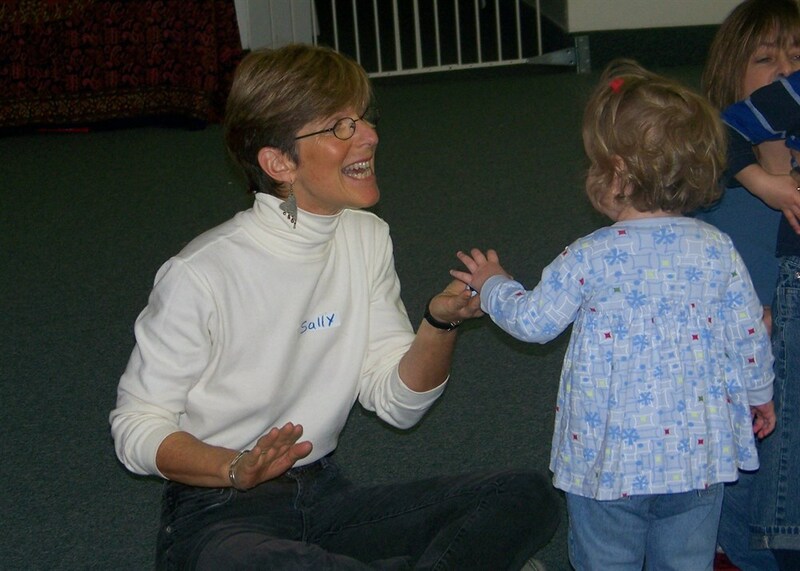 Sally has experience teaching preschool in the seacoast as well as working with grieving children for 6 years. Sally also sings in Voices from the Heart, a 200 woman chorus. She joined the Music Together family in 2002. Her sweet voice and gentle spirit make her much loved by the families in her classes. 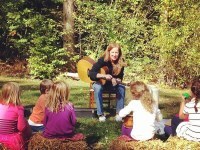 Lynne has been sharing music with children and families in New Hampshire. She is self-employed and feels lucky to work in area preschools leading sing-a -longs in the morning and teaches piano in the afternoons. We are lucky to have Lynne teaching Music Together!